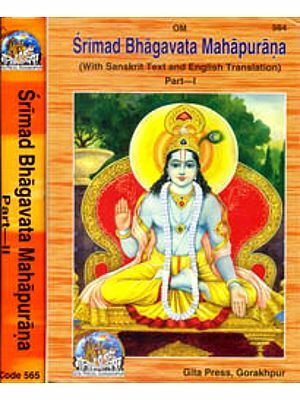 Srimad Bhagavata which comes under the category of scriptural Texts called the Puranas, consists of eighteen thousand and odd verses, and is a veritable encyclopaedia of spiritual philosophy put in an epic form that is both devotional and poetic. It depicts pure devotion, expressed as unmotivated service of the Divine and of all living beings considered as the tabernacle of God. 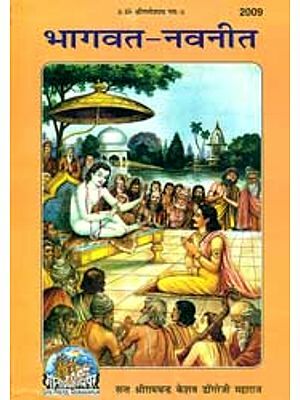 Pious Hindus consider daily reading of the Text an important spiritual discipline in life for generating devotion and the spirit of dedication to God. Any person, whatever his religion, will find himself spiritually enriched by a close study of this Text. 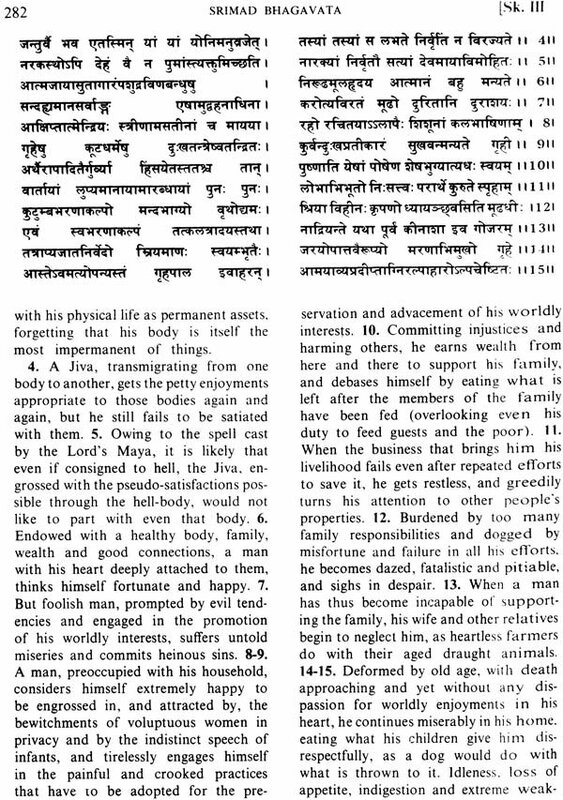 This English translation of Srimad Bhagavata Purana seeks to place before the ordinary reader a fairly lucid rendering of the great Text, verse by verse, without any pretension to very high standards of Sanskrit scholarship. Readability has been given precedence over meticulous accuracy throughout the translation. 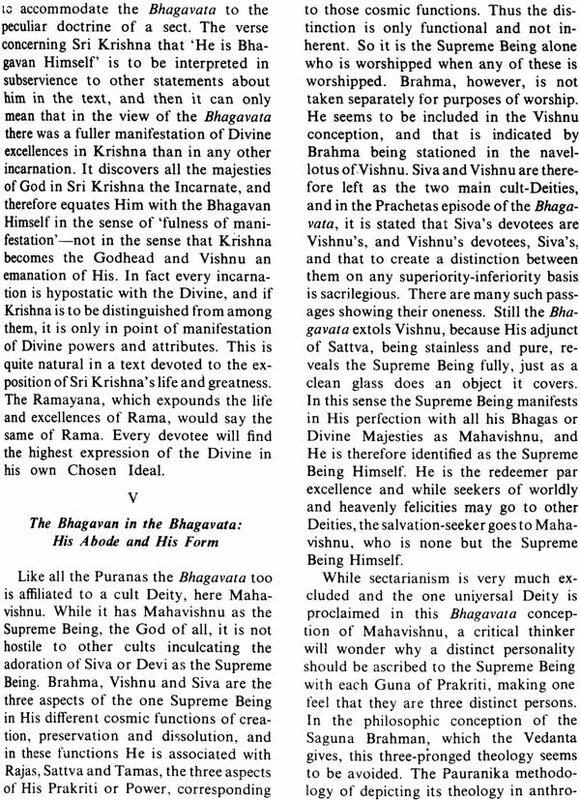 The Bhagavata is a difficult text, in many places too terse to yield a clear meaning, and in others, so vague that one can draw any meaning that one wants to find. It is also not very respectful to grammatical orthodoxy. It will therefore be easy to find many flaws and inaccuracies in the translation, but if it succeeds in engaging the reader's attention and in conveying the devotional spirit of the Text, it would have succeeded in its object. 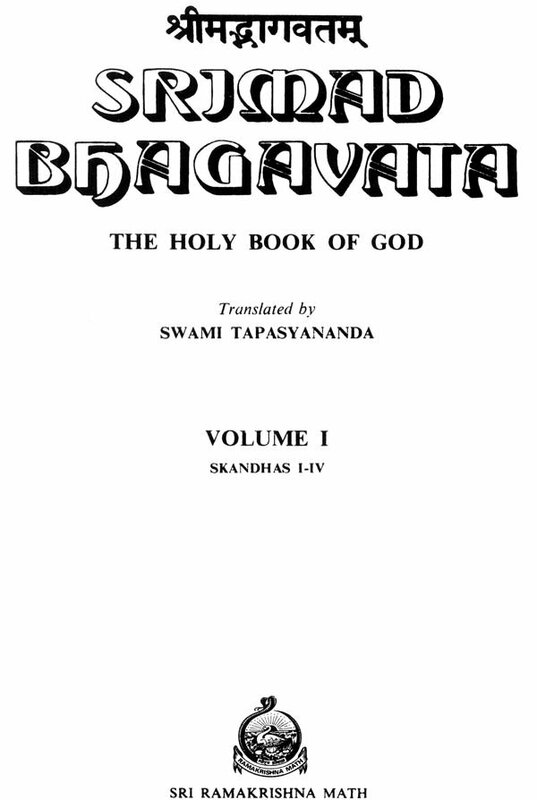 The Bhagavata, according to orthodox calculations, is supposed to contain eighteen thousand verses, but on actual counting, one will find only about fourteen thousand and odd passages, including prose sections and verses. This difference is caused because the numerous long prose passages of the Text are counted as forming a verse for every thirty-eight letters in the orthodox way of calculation. The colophons are also counted. The whole Text is divided into four volumes- the first comprising Skandhas one to four; the second, five to nine; the third, ten; and the fourth, eleven and twelve. The translation is done verse by verse, and the corresponding number of the original verses is given to their English Prose translation. 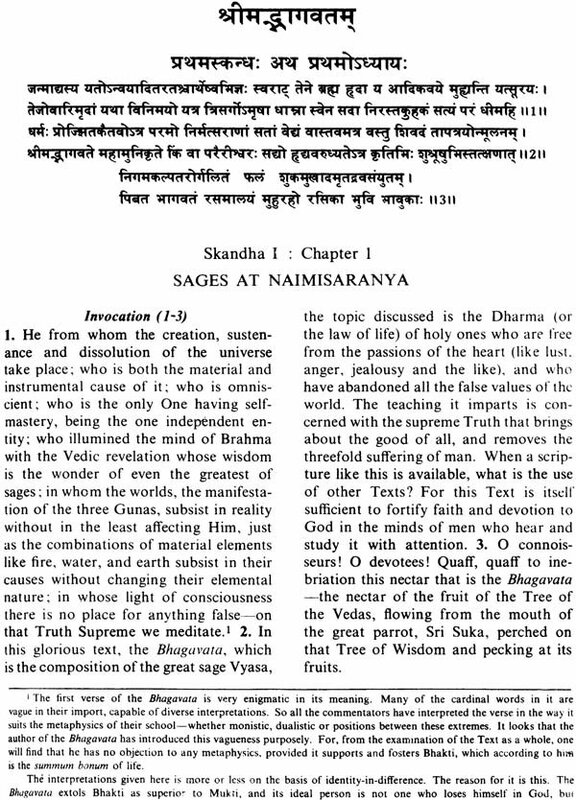 The Sanskrit original is given in the upper half of the page and the corresponding translation in the lower half. Diacritical marks are not used for Sanskrit expressions, except to distinguish the long 'a' in some unusual names. Quotations are also largely eliminated because there are too many interlocutors. The translation is mainly on the lines of Sridhara's interpretation, which in itself is too terse. The translator has been immensely helped by the word-for-word split translations of the Text into Malayalam by two renowned Bhagavata scholars of Kerala-Pandit P. Gopalan Nair and Brahmasri Vaisravanam Raman Nampudiri. Their works have made it easy for one to penetrate into the difficult Text and secure a considerable measure of accuracy for the translation. Sri N. Raghunathan's excellent English translation has also been very helpful to determine the meaning of obscure passages. In regard to the metaphysical affiliation of the Bhagavata, it seems that it is not committed to any particular system exclusively. We find in it representation of all strands of metaphysics common in Indian philosophy. The author of the Bhagavata has no objection to any of them, provided the place of Bhakti as the highest value, the fifth Purushartha attainable by man, is not jeopardised, and the God of Love is not endangered by metaphysical subtleties. 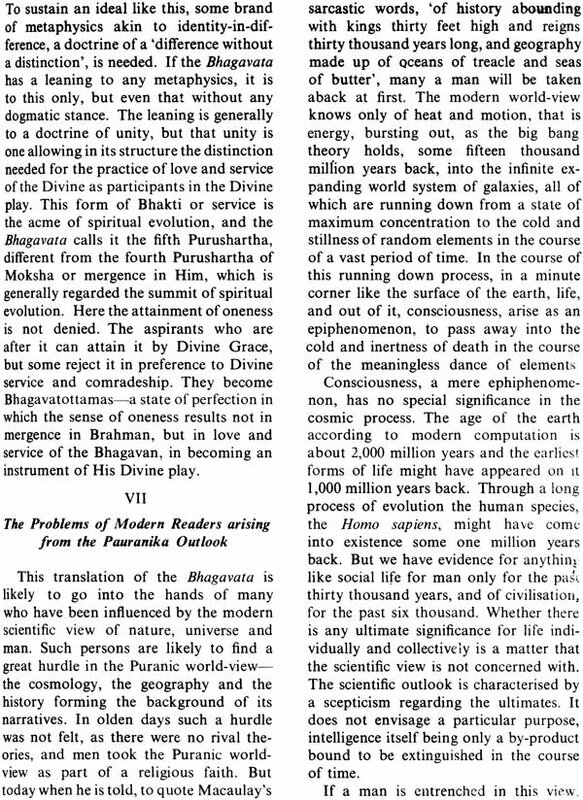 The translation has kept this in view, and it is in the light of this ideas that the first verse of the Bhagavata, which is the keynote verse of the whole Text, is translated. The Introduction seeks to provide considerable background-information required by a modern reader to grasp the methodology and the outlook of Pauranika literature in respect of space, time, Nature and man. There are many more allied themes, like the doctrines of divine love, the theology of the Bhagavata, the doctrines of Incarnations etc., that have to be kept in mind while reading the Text. 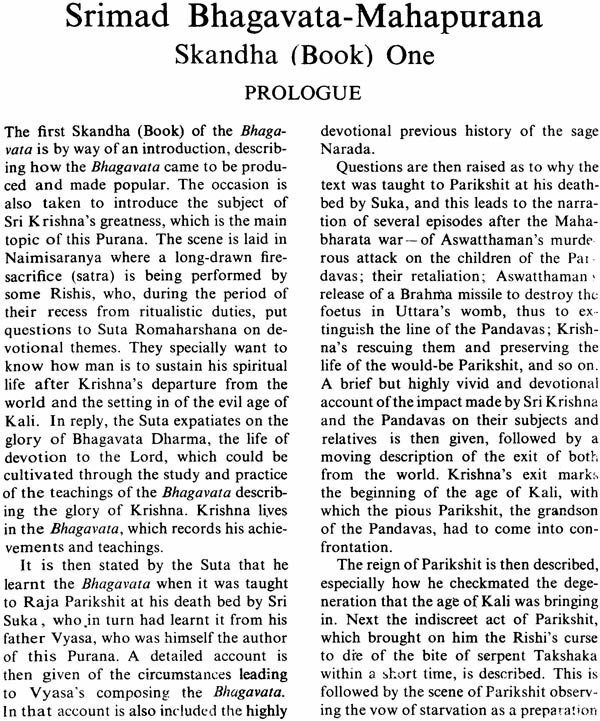 As their treatment also in the Introduction would make that section too long, some of them are treated in the Prologues to each Skandha, especially in the Prologue to the tenth, and in the Appendix. A close study of them will help in a deeper understand of the Text. Prithu's Entry into his City-Performance of a Satra by Prithu-Prithu's Address to his People-The Greatness of Prithu.